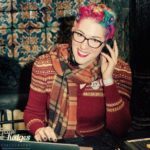 We are thrilled to welcome Laura Knight as one of the DJs of the CPHLX2018! 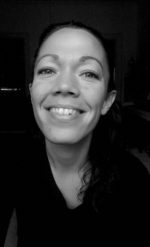 Laura – a self-confessed music geek – grew up in a dusty record store listening to a huge range of music. As a teenager, she spent her weekends at record fairs rummaging through boxes of vintage vinyl and hunting for bargains. 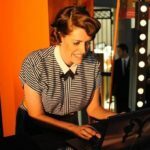 She has been DJing for dancers since 2009 at dance events all over the world. She loves nothing more than sharing great music that inspires people to dance. We can’t wait for her to make the dance floor swing and trust that she will have us dancing all night long. Hailing from the seething metropolis that is London. 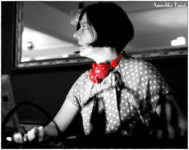 Sarah Spoon (aka DJ Cardigan), has an eclectic taste that is much in demand at Lindy Hop, Blues and Balboa events alike. No two sets are exactly the same. 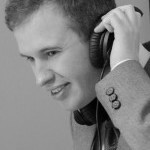 Whatever the tempo, you can count on DJ Cardigan to pick tunes with a grooving beat and a strong melody. 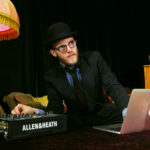 DJ Felix Wiberg is an extremely bright new star, rising from the vast swing DJ scene of Gothenburg. He really knows how to make a dance floor swing and has been one of the more popular DJs in Gothenburg since he started. ”While in the booth, I always try to deliver the pure and clear tunes – the kind of takes that allow dancers to find movement in the music – as it is all it is,” as DJ Felix says. Apart from DJ’ing Felix is also a really good social dancer so make sure to catch him on the dance floor. Let’s keep it short & sweet: I’m here for all your swingin’ pleasure, to make you sweat, put that happy grin on your face and not allowing your feet a rest. If you heard my tunes at my stompin’ ground in the Netherlands or elsewhere (like Snowball, Lindy Shock, Herräng, Copenhagen Lindy Exchange, All Balboa Weekend, Balboa Castle Camp, Berlin/Hamburg/Barcelona Balboa Weekend, Studio Hop Summer Camp, Frim Fram Jam, Smokey Feet, Harbour Hop) you know I’m having all the fun in DJing for lindy hop, balboa and some blues. My music tastes are pretty broad (try me! ), but let’s just say: The 1930s were really exciting! Active since 2012, this popular local DJ from Copenhagen knows just how to get your feet moving on the dance floor. He plays irresistible new ‘old’ tunes at events big and small in Denmark and Sweden that leave dancers energized and asking for more! 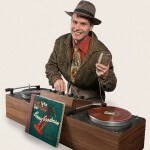 Per Rock is a very skilled DJ within jazz and swing music from the era of Lindy Hop. He has specalized in playing old SHELLACK records and uses vintage equipment from 1956 with tube amps. He loves when the music has THAT special OOMPH and edgy sound. Per Rock initiated Lindy Hop dancing in Denmark some 20 years ago and loves to play music, that tells you to do your lovely Swing Outs. He has dj´ed in Sweden, Denmark and UK. Be prepared for good old classics as well as something special you might not have heard of before. His shellac collection of music from the 20´s to the 50´s is huge and he loves to spread the positive vibes. We are happy to present the very last DJ for CPH:LX 2018 One more from our local swing scene! One thing that makes us happy, is to see DJ Majken in the DJ booth!